A1. Ojah with Hugh Masekela - "Afro Beat Blues"
A2. 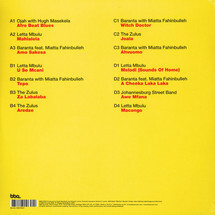 Letta Mbulu - "Mahlalela"
A3. Baranta feat Miatta Fahinbulleh - "Amo Sakesa"
B1. Letta Mbulu - "U Se Mcani"
B2. Baranta with Miatta Fahinbulleh - "Tepo"
B3. The Zulus - "Za Labalaba"
B4. The Zulus - "Aredze"
C1. Baranta with Miatta Fahinbulleh - "Witch Doctor"
C2. The Zulus - "Joala"
C3. Baranta with Miatta Fahinbulleh - "Ahvuomo"
D1. 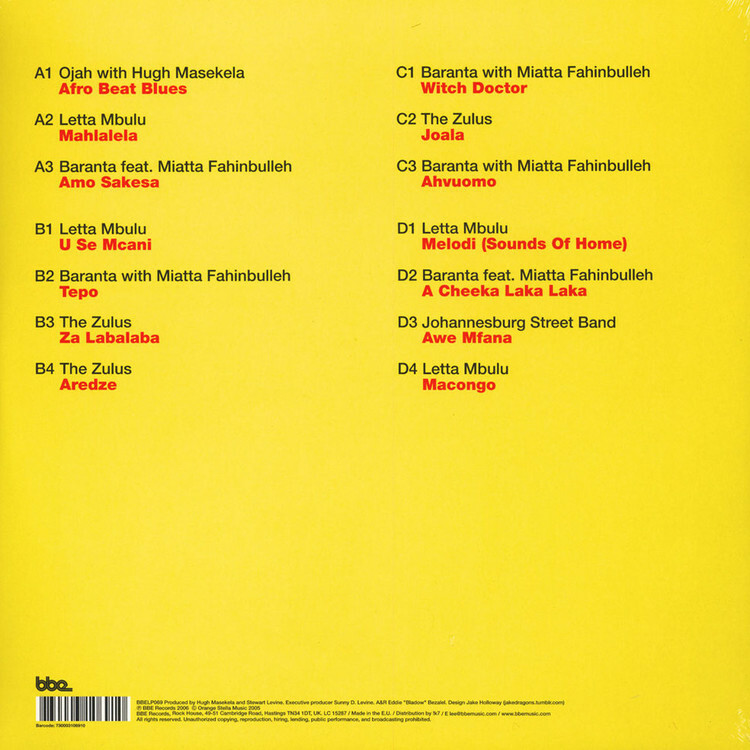 Letta Mbulu - "Melodi (Sounds Of Home)"
D2. Baranta feat Miatta Fahinbulleh - "A Cheeka Laka Laka"
D3. Johanesburg Street Band - "Awe Mfana"
D4. Letta Mbulu - "Macongo"
The Chisa Years: 1965–1975 (Rare and Unreleased) is a compilation album by South African jazz trumpeter Hugh Masekela. The album consists of 14 rare or forgotten tracks recorded by Stewart Levine and Hugh Masekela from 1965 to 1975 when they ran their own Chisa Records label.